The meaning of a haiku lies in its concision, and its beauty lies in the clarity of that concision. Lens Rebel, an independent production house based in Singapore, comprising director/cinematographer Dagomir Kaszlikowski and screenwriter/producer Suhas Bhat, sets out to discover cinematically how a film could tackle the constraints of precision through body language and acting skills, in the form of haikus. Lens Rebel, a very unique filmmaking group, actively makes haikus on a bi-weekly basis and they have made six movies in this form in 2014. They can be viewed on the playlist "Haikus of Murder & Revenge". 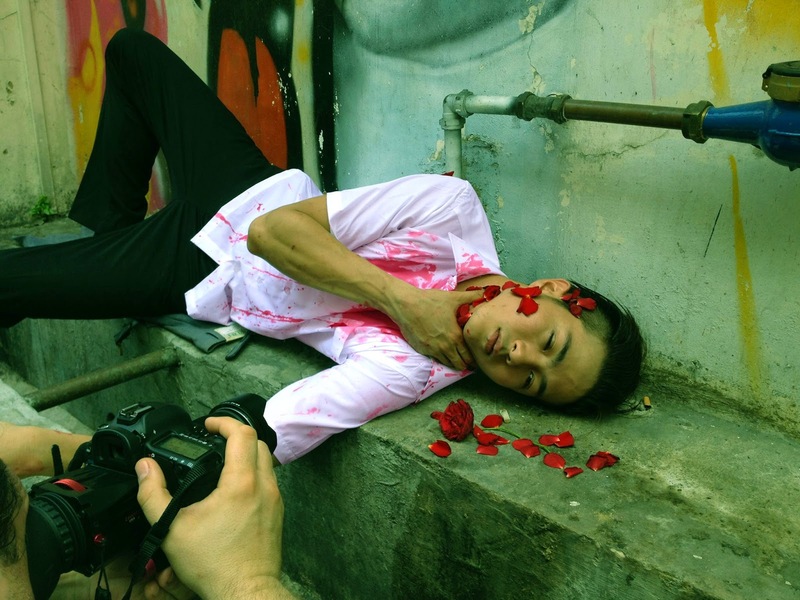 This portfolio of haiku-based films are inspired by themes of murder and revenge remniscent of the revenge trilogies of Old Boy, played to the soundtrack of a Godfather film. They are filled with blood, the beauty and pleasurability of the moment, and tinted with the noirish aesthetic of the cigarette. There is a promising allure of sensuality and deadbeat pulsating tensions in these films, which promise in the imagination a vignette that leads to something more. Furthermore, these films are foregrounded in the cityscape of Singapore, which lend them a more surrealistic feel, as you have a multinational cast performing to the background of a contemporary modernscape. Somehow, the temporal zones of the film noir aesthetic and Singapore in 2014 seem to complement each other brilliantly. All that darkness, I suppose, is meant to transport our imaginations to a place of rumination about what human relationships could be if they were inspired by strife, by longing, and by a desire to severe in the most brutal and melodramatic of fashions: murder. Lens Rebel, with its very visceral-inspired visual montages, not afraid to exist solely in the realm of a dreamic vision, is certainly a group to watch. And their films have done some travelling as well. Abroad, a 21-minute experimental short film about the harrowing experience of a foreigner as he moves to a new country, has been nominated for the Best International Short Film category at the Bare Bones International Independent Film & Music Festival and was screened recently at the Red Dirt International Film Festival. SINDIE talks to Lens Rebels to understand their key inspirations and aspirations. 1. How would you describe the key stylistic aesthetic of your films? What is the striking aesthetic you are trying to achieve? We choose a stylistic aesthetic that suits the mood of the movie that we make! We especially like the look of films from the 1970s as there were deep, rich colours and hues. Director Dagomir Kaszlikowski started filmmaking in the 8mm format so a lot of his influences come from that era. He especially likes to utilise close-ups that clearly illuminate the transitions of various emotions within his actors. 2. Interested in the prototype of the female character in Veronica and Gwei Lo. Are you going for an oriental femme fetale portrayal? Why? We think that not enough oriental characters are showcased in mainstream movies. In general, we like female characters, especially Asian ones, as they invariably have a mysterious quality in their faces that the camera loves. But we're striving to break away from the compliant, submissive characters from the past as times are changing and it is the 21st century. We like our female characters to take charge! 3. You describe yourself as an indie production house. 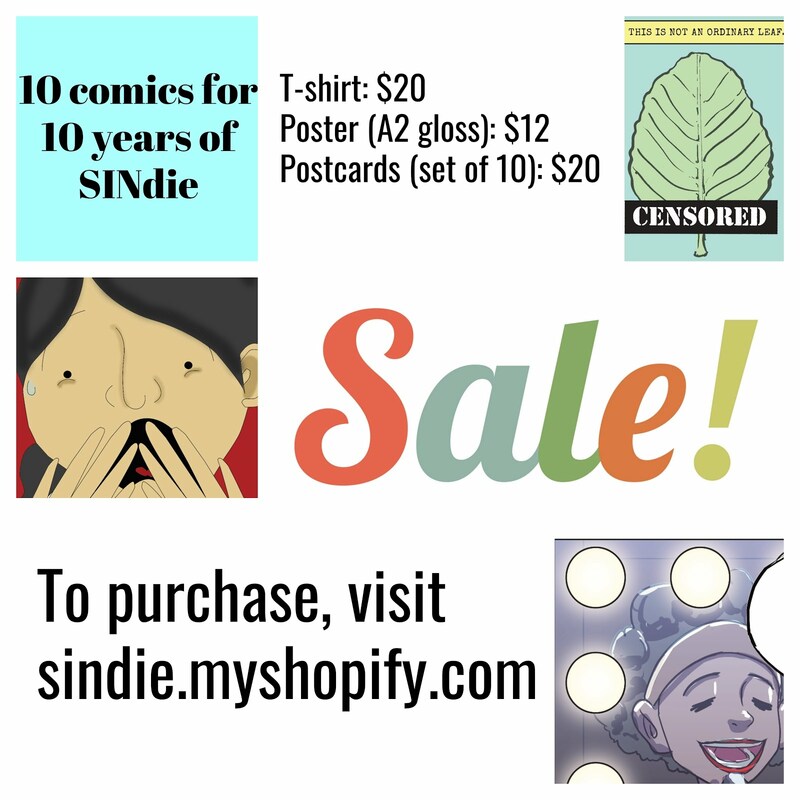 What would you define as the genre of indie which you are trying to promote? Good movies. Even without a significant budget, we strive to make movies with strong visuals, focused cinematography and great acting. We make it a point to ensure that the visual narrative is emphasised as well as the traditional forms of narrative - story, dialogue etc. We've made shorts in the sci-fi, supernatural, drama, film noir genres so we're going far and wide on this cinematic journey. 4. You seem to like casting foreigners in your films. Any input on how the addition of these characters alter the tone of the film? What are you trying to achieve? Well, because they came down for the audition and won the part! We operate on a meritocratic basis and believe that the cross-national diversity within Singapore can become a key asset for the film industry. 5. Where do they see Lens Rebels 5 years from now? Making movies. We do what we do because we love it. We don't think about practical aspects like churning out a profit or appealing to a target audience. We hope to work with a group of people who trust us and participate in making movies together. Lens Rebels is currently finishing post-production for Don't Hang Up, My Love, a 30-minute short film about love and loneliness in a big metropolis. It features four Singaporean actors and the scenes were shot in Tokyo and Singapore - the trailer can be viewed on YouTube here. 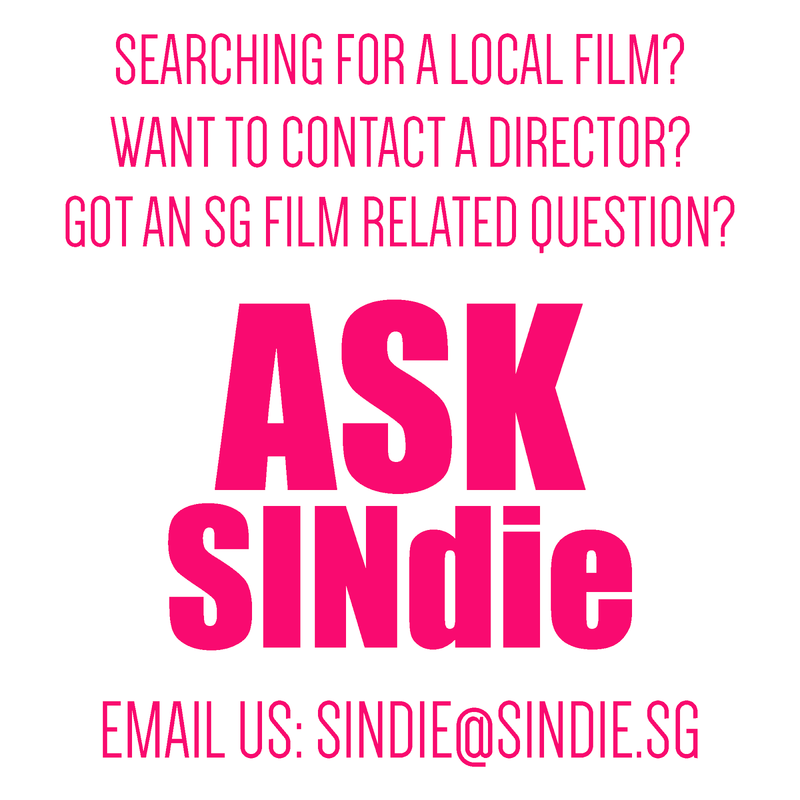 For any further information on this filmmaking group, you can check out their website and facebook page.